With less than a month left of school, there is a definite excitement among Hemet Unified seniors. The nostalgia of the past four years is beginning to set in and students are realizing the end of their high school career is approaching. Some students may look back on their time in high school with fond memories and some may look back and see the various challenges they were faced with. West Valley senior Laura Suarez is the latter. Suarez has moved a total of 13 times while growing up, attended four different elementary schools and two high schools. The constant change was a definite challenge for her, but it was nothing compared to her family challenges. While other students her age were concerned with an upcoming game, she was concerned with helping her family as much as she could. She found herself working 45 hours a week to help her father with the finances and helping care for her sister that lost her vision due to an illness. “If you wake up telling yourself that it will be a bad day, then it most likely will. Being low income doesn’t define me, if anything it inspires me to work harder for what I want,” said Suarez. This extraordinary and selfless young woman is able to see the positive in every situation, which may be the reason she was selected to receive a scholarship from the Dell Scholars program. This program is an initiative from the Michael & Susan Dell Foundation that recognizes students who have overcome hardships and obstacles to pursue their education. This program provides students with more than just money, they provide support and assistance to help them graduate college. As a recipient of the Dell Scholars program, Laura has received a $20,000 scholarship, a laptop, credits towards her books, and constant support to address any challenges she may be facing emotionally or financially. 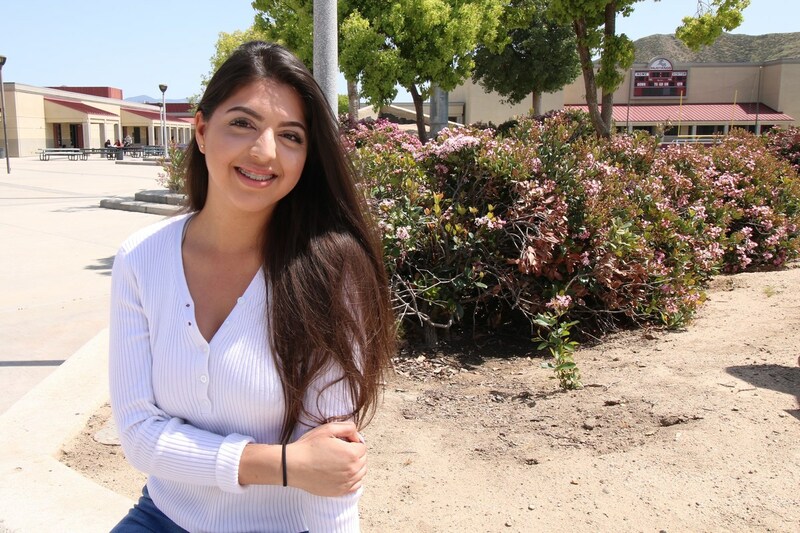 Suarez said she is extremely grateful for the opportunity this scholarship will provide her as she attends California State University (CSU), San Bernardino, in the fall. She said she is thankful she will be attending CSU San Bernardino, because it will allow her to be close to home so she can continue to help her sister and her family. While attending school, she plans on majoring in psychology so she can help children through tough transitions in their life. Suarez mentioned she would not be in this position if it wasn’t for her father who has always supported her and given her encouragement and Donna Parker, AVID Coordinator at West Valley High School. She thanked Mrs. Parker for giving her the encouragement she needed to apply for the scholarship. In addition to the Dell Scholarship, Suarez was also awarded a Pell Grant and a Cal Grant. Out of 9,200 applicants nationwide, 500 students were chosen this year to be named a Dell Scholar. Suarez is one of ten students in Riverside County that were chosen for 2018! Congratulations Laura Suarez on being named a Dell Scholar and for your acceptance into CSU San Bernardino!